Back in my day, we didn't have no pre-written hottsie tottsie modules. No sir! Yup! Those were the day, huh? We slogged through G1-G3, I was the DM. Oh Lord did my players hate me when it became obvious that G3 was going to lead straight into D1. "Can't you just write the Dungeons like you used to?" they said. And I knew they were right, but it was so time consuming and these modules represented the peak of TSR dungeonering talent! The players were right. We never did do D1-D3 (my copies are still mint I suppose! ), mostly because one of the guys bought Q1 (the follow on to D1-D3!) and so the plot was shot. However – City State of The Invincible Overlord was a great jumping off place for new adventures. The best "module" I ever invested in. For some reason none of the other City Modules produced by Judges Guild were half as good. The G/giant and D/drow modules were rather uninteresting high level hack and slash. Back in the later 1970's and early 1980's I had so many of the modules. But than I got married and had children and found miniatures. So dumb old me got rid of nearly every single one of my D&D stuff. Do you know what these costs these days. Smart me did keep all of the 1st Edition AD&D books and a few of the modules, like; Tegel Manor, The Temple of Elemental Evil (just do not where that is at the moment). Had the original of this way back when. But I got the Collector's Edition of 5th Edition of D&D for Christmas so I have began to get some of these old Modules, which is why I know what they cost these days. Got this one in the mail last night. This one I got last week. 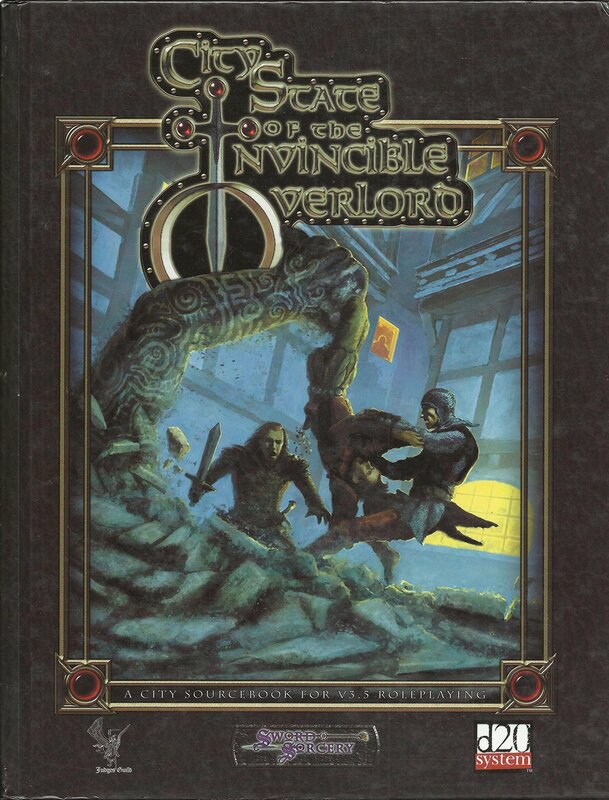 So yes The City State of The Invincible Overlord is the best city and lets just say that to get this book you will pay. The great thing is that since I buy stuff from Amazon this ended up costing me nothing. Oh and yes I did but one of the new ones. T1 was great. Just seemed a long time to wait for T2. Yes it was and back in the later 1970's we lost several characters and NPC's going into it. First is was the Giant Frogs then the Green Slime (you know what happens to NPC's when Green Slime drops onto them and your Cleric is only level 1/2… they die) than the other monsters. It was only a final sleep spell that lucky put down a brunch of bad guys that we allowed us to finally get out of there. The Tomb of Horrors where 21 went in and only 4 came out alive and one of those was struck in the skull. 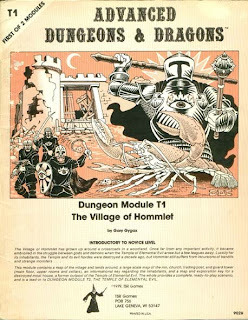 I remember Tomb of Horrors – in the sense that I know I was a player in a game that used it – but I recall nothing about it except that there was a Liche on the cover, and I knew our party had no chance if we met a liche…..
BTW, both B1 & B2, in all editions, are available as exact reprints in the compilation hardback Into the Borderlands by Goodman Games. 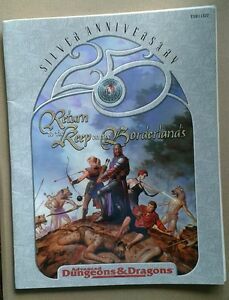 The book also includes 5e versions of these, with a linked storyline and additional adventuring locations. There's also a nice write up of the history of the original modules. Worth a look! That sounds really interesting – but £60.00 GBP (on Amazon) was a bit more than I expected to see!